Welcome to Carney & Associates, LLC. Our company is located in the beautiful town of Wasilla, Alaska which is about 40 minutes outside of Anchorage. We have been in business for over 38 years, so you can rest assured that as one of our valued clients we will take care of your needs so you can use your time to do what you do best, grow your business. 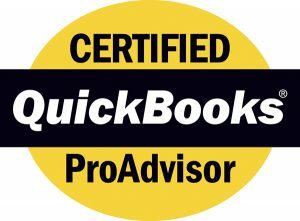 We provide tax, business consulting, bookkeeping and payroll services as well as Quickbooks training and software installation to individuals and small business clients through out Southcentral Alaska. This site has been designed to provide clients and potential clients with information concerning our firm and our unique, low-pressure approach to personal and professional services. We have an excellent client-retention rate, and we are extremely proud of the high-quality services that our firm provides. Your satisfaction and quality service are our priorities. Our remote capabilities enable our office staff to access your systems as needed, custom tailored to your specifications. Our goal is to provide personalized accounting, business and tax services with the utmost professional excellence and integrity.